These colorable Hosanna! bookmarks for Palm Sunday celebrate Jesus’ “Triumphal Entry” into Jerusalem. 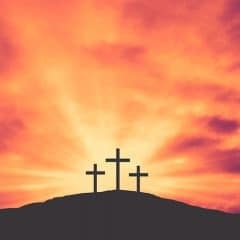 Jesus was on His way to the cross and He knew it. 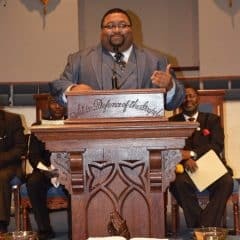 After approximately three years of ministry, Jesus knew He would be crucified on Friday during the Passover observance in order to demonstrate that He was the final Passover lamb. His popularity had been growing and on the Sunday before Passover He entered the city and was given a king’s welcome by the people. As He rode into the city, the people shouted, “Hosanna! He who comes in the name of the Lord is the blessed One — the King of Israel” (John 12:13b). “Hosanna” had come to mean, “God is saving!” This beautiful shout of praise meant that Jesus is the Messiah, the King, the Salvation they had been waiting on! We celebrate Jesus’ Triumphal Entry on the Sunday before Easter Sunday as Palm Sunday. These colorable Hosanna! 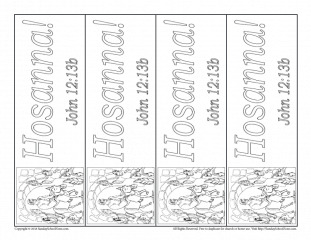 bookmarks include a colorable illustration of Jesus entering Jerusalem with the simple declaration, “Hossana!” printed on it. The bookmark will remind children that Jesus is the King of kings and has come to save us!